Loving Your Children To Greatness- Raising Children With Special Needs. A mother’s struggle. Mary Warigia’s childhood was knotty and daunting. Adversity and rejection are terms she is all too familiar with. Her mother left unceremoniously and shortly after, her dad packed her few worldly possessions and shipped her to her grandma’s. He did not have the nerve to face the grandma so he left Mary and her bag at a ridge a few yards from the grandma’s house. Close enough for her cry to be heard, but far enough for him to duck off unseen. Obviously, when you have such a wanton disregard for your child’s needs and feelings, you don’t want anybody witnessing your insouciant attitude towards parenting. Mary rose above all these. 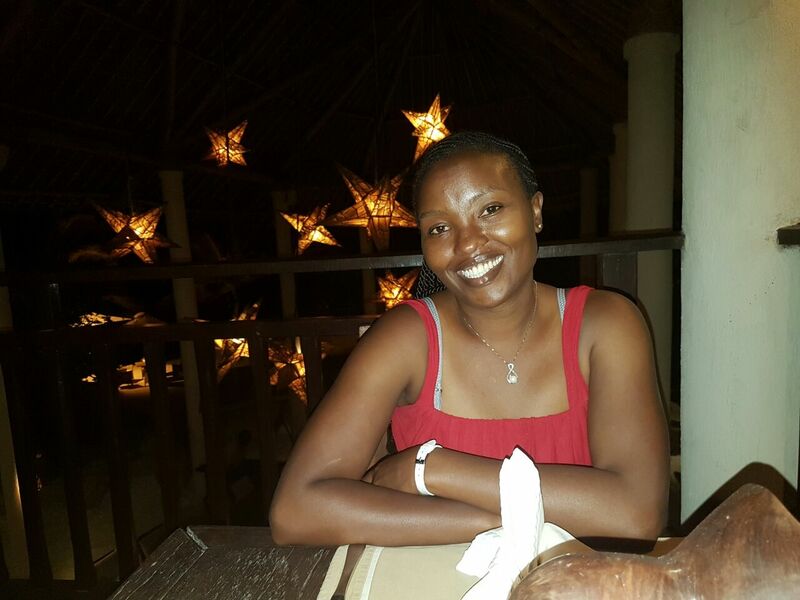 She graduated with a BA in Land Economics, worked at HF Group and Loyd Masika then started her own practice Orion Valuers in September 2012. But just when she thought that life could not possibly hand her any more lemons (now that she was the cocktail connoisseur), she was in for a rude shock. The year was 2005. Her career was blossoming and she was just about to add another feather to her hat. An MBA. Then she found out she was pregnant. The news excited her but elicited a different reaction from her baby daddy. He was ready to take on anything but fatherhood. Rejection once again reared its ugly head. She took it all in her stride and braced herself to be a single mum. She had a normal pregnancy but closer to her due date, the baby’s kicks subsided. She rushed to hospital and a scan revealed that her baby was distressed as the cord had wound itself around her neck. An emergency C-section was conducted and a bouncing baby girl, was born. She named her Joy. 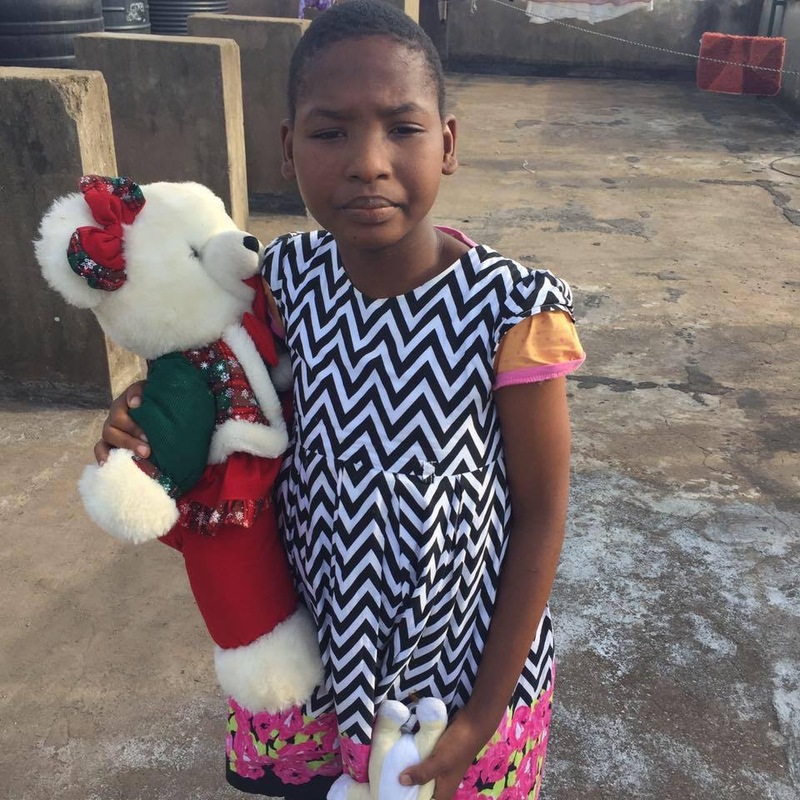 A week later, Joy suffered a nasty bout of diarrhea and had to go back to hospital. She was admitted, treated, rehydrated via the drip and later discharged. But throughout the first three months, Mary felt that her child was not ok as she had significant delays in meeting the usual milestones. You know how within the first month babies have strong reflex movements and make quivering arm thrusts? Or how they move their head from side to side while lying on the tummy? Joy displayed none of that. She fed slowly and was excessively loose in the limbs. Much as most doctors called out Mary’s concerns as paranoia adding that Joy was just a late bloomer, she trusted her instinct and that of her intuitive grandma who declared with certainty that something was off. 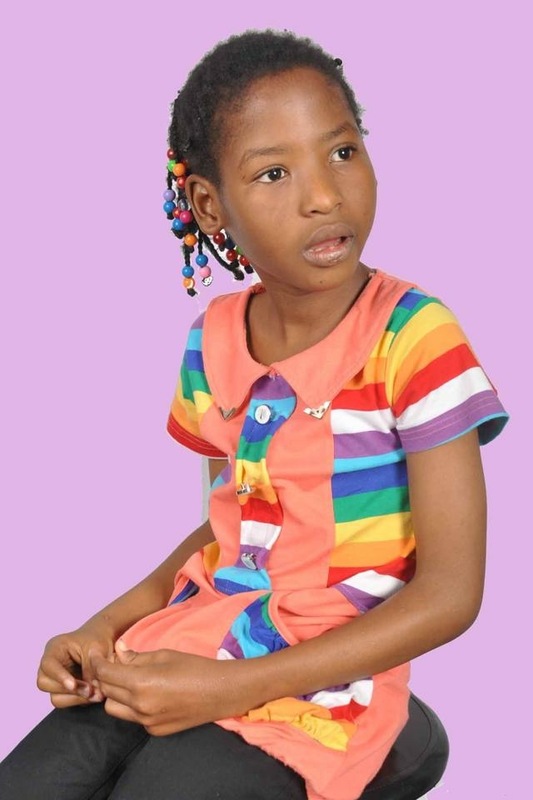 At three months, Joy was diagnosed with Cerebral Palsy by a pediatric neurologist at Gertrude’s Hospital. She would twitch incessantly and was given anticonvulsants. From that point she underwent therapy 4 times a week for four years at a cost of Ksh 1,300 per session. “At my age, anything I eat goes straight to my waistline. I work out too hard to allow that to happen!” She tells me how she is a gym enthusiast which she really needs not spell out given that her slender frame and toned arms say it all. Besides financial constraints and the heavily demanding nature of this role, I wonder what else has been the most challenging bit of raising a child with special needs. So, I ask her about this to which she responds that the first five years were the worst. She tells me that her biggest setback would come whenever Joy fell ill, which was quite often given that her immunity was very low. Weeks of physiotherapy would go down the drain as every illness would take away most of the progress she had made. Think about how three days of a flu takes a toll on a normal child. For Joy, it was worse as it would cause her physical development to regress. Say for instance, her neck had firmed and she had mastered the art of raising it when lying on her tummy. If she contracted as much as a cold, she would revert to having the toxic neck reflex and would have to undergo physiotherapy targeted at firming the neck once again. Mary recalls an instance where Joy had finally learnt how to crawl after months of training. 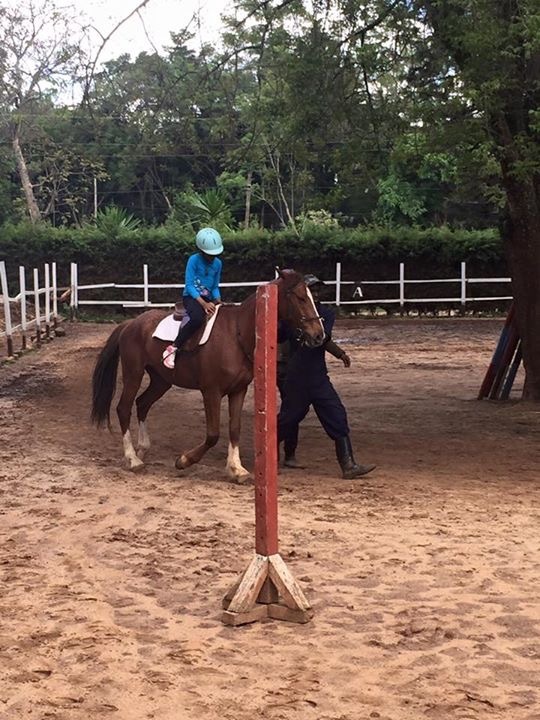 A few days after meeting this milestone, she was taken ill with a bacterial infection. Thereafter, it was as if she had never crawled a day in her life. This caused the mom to be hawk-eyed and spot ailments from a mile away. Mary adds that lack of information on her child’s condition and how to manage it drove her crazy at the onset. For starters, the pediatrician that informed her of Joy’s condition did not take time to explain the gravity of the situation. She struggled to get information on things such as therapy and its effectiveness and how to tackle the various challenges she faced. She received all sorts of conflicting advice from well-meaning friends and got castigated by others. The most ridiculous advice she received was that her child had been bewitched. This person was even ready to link her up with a witch doctor to undo the spell. For that reason, in January 2013, Mary started Orion Foundation, an NGO that creates awareness about cerebral palsy and by extension, other special needs. Joy is currently 10 years old but functionally 4-which means that her growth is as much as that of a four-year-old. She attends Kenya Community Centre For Learning, a school that provides alternative education to children with diverse learning challenges. Currently, Joy undergoes extensive occupational therapy where she learns Activities of Daily Living (ADLs) which in Mary’s words are the things we do once we wake up, without thinking. Like brushing teeth, showering, dressing up and feeding. To Joy, these activities are not obvious and much as she can do most of them on her own, she must be reminded and guided. Mary believes without a doubt that the hard part is done and is appreciative of every little progress Joy makes. She informs me that her grandma was her greatest support. A few years back when Mary was at her lowest, the grandma told her words that continue to echo in her mind up to date. A wave of sadness sweeps over me and I blink severally to fight back tears. I am impressed with Mary’s stoicism and her ability to unravel such heavy memories of her struggles without getting emotional. Perhaps because this is the reality of her life, one she has become accustomed to. The only point she gets a little overwhelmed with emotions is when I ask her if her grandma still plays a major role in their lives. She brings her hands up to her face, covering the mouth with her palms and holding the chin with her thumbs, as if in shock. She takes a deep breath and informs me that her grandma passed on in 2009. As I chew on all this, I think about how motherhood is generally draining. Then you add a child with special needs and it must be such a painstakingly laborious experience. But Mary seems to have it all under control. So, I ask her what keeps her going, and if she’s ever had a moment where she felt like throwing in the towel. As for the tail end of my question, Mary casually informs me that she went through depression last year around the time Joy turned 10. The school had organized a talent show where all kids would be participating. Mary was excited and could not wait to see her child in action. This realization threw Mary off-balance. Luckily, her friends picked it up and took her to see a therapist. She is glad that happened as it turned out that the depression was more to do with her tough childhood marked with absentee parents, and Joy was just a trigger. I check my wrist watch and its 2.45pm. In the next 15 minutes, Joy will be getting home from school and Mary needs to be there to receive her now that she has no house help, a challenge that she constantly faces. I end the interview by asking her how she goes about disciplining her child, thinking to myself that it must be a painfully uphill task. As we walk to the parking lot, I ask her if she was given a chance to send one message to parents the world over, what that would be. Without skipping a beat, she unspools this little speech. Check out (http://www.orionfoundation.or.ke/ ) for information on cerebral palsy or should you wish to support the foundation’s initiatives. Mary you are a great mother, a role model and a strong woman. May you always get God’s strength and resources in all your efforts as a mother and as a founder of Orion Foundation. From your lips to God’s ears, Sam. Thanks for reading. Amen Lily and thanks for reading! Your story gives me hope my son was diagnosed with hydrocephalus, at 9 months seven years down we still on occupation therapy and speech therapy, though progress is slow he is doing well and believe he will walk and talk. As a single mum it is really tough but I thank God for how far he’s brought us. One thing I have learnt in the last two years and that has been affirmed by Mary’s story plus what Tote shared in the comments is that God always makes things right, in his time. Soldier on Anne. After reading this i am encouraged i have hope 4 my niece who is almost 9 months and has Celebral palsy will be well and will one day walk unlike what many have said. As you should Janet. God will be faithful. He always is. Such a touching story, a strong woman indeed. Thank you for introducing me to her Renato!